HIGH Explosive fighting with a deep character roster. LOW New players will be lost in all the content. WTF The bard using magic to put on a KISS concert. The Warring States Period, Feudal Japan. A mist rises over the land, encompassing many groups of warriors. Nobunaga Oda finds a magical serpentine bracelet as he emerges from the mist into a new place he’s unfamiliar with. As others start to emerge from the fog, they clash. Above it all is Zeus, Greek god of thunder, watching in amusement. All of the pieces are in place – now it’s time to enact his plan. 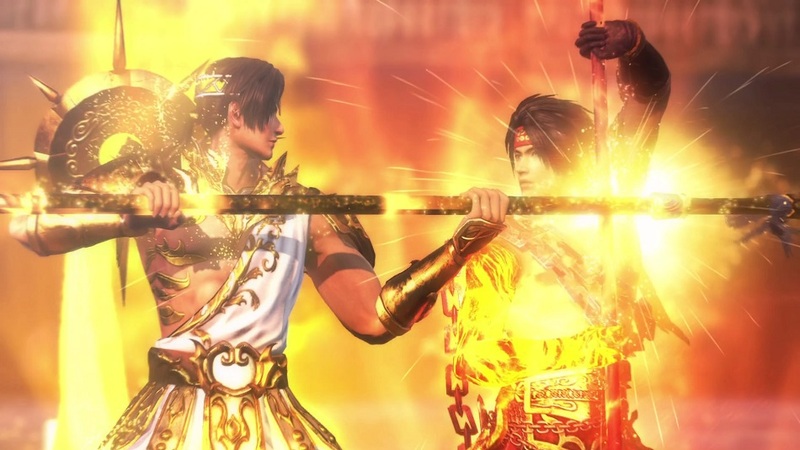 Warriors Orochi 4 is the latest installment in Tecmo-Koei’s offshoot beat-’em-ups, titles which generally fall into the ‘musou’ genre. Players take control of three characters and can switch between them at will to carve their way through scores of nameless enemy troops (and slightly tougher enemy officers) while roaming a map to control bases and preventing allies from being defeated. Outside of battle, players will be able to use the experience, gems, and items they find to create new weapons and increase the skills for characters. The player’s camp can also be leveled, unlocking more bonuses for characters, additional weapons and crafting options. Combat has a number of mechanics, but it’s all implemented simply. Characters have a basic attack, a strong attack, and a musou attack (which is usable when the musou gauge is filled). Switching between basic and strong attacks will give a new combo for each character. New additions to the series are “sacred treasures” that give each character magic abilities. An MP gauge will fill constantly through a battle, and as combos build, they also work towards powerful “unity” attacks that combine all three active characters for a special finishing move. Fans familiar with musou titles will know the joy of diving headfirst into a hundred enemies and walking away with barely a scratch, but this magic adds yet another level of spectacle, and it’s quite a sight to see ocean waves crashing through enemies, or throwing the hammer of Thor in a fierce lightning barrage. The amount of content in Orochi 4 is both a blessing and a curse. With the simplistic combat, players don’t have to worry much about which characters they pick or the stories behind them – anyone can jump in and tear through armies at their leisure. However, the choice of over 150 characters to choose from can extend the game significantly, and players who aren’t familiar with the combatant they choose may be in for a rude surprise if they don’t like how they control, considering that many levels can take upwards of 15-30 minutes. The “Pandemonium” difficulty that will appear randomly throughout the game also increases the available content even more with upgraded enemies and a secret boss. Something else to keep in mind is that while players might be looking for an exciting storyline to follow, what they can expect is closer to a murky stew of characters thrown together in a loosely-connected plot. There’s nothing inherently wrong with that, but it could burn those who aren’t aware of how musou games generally unroll. 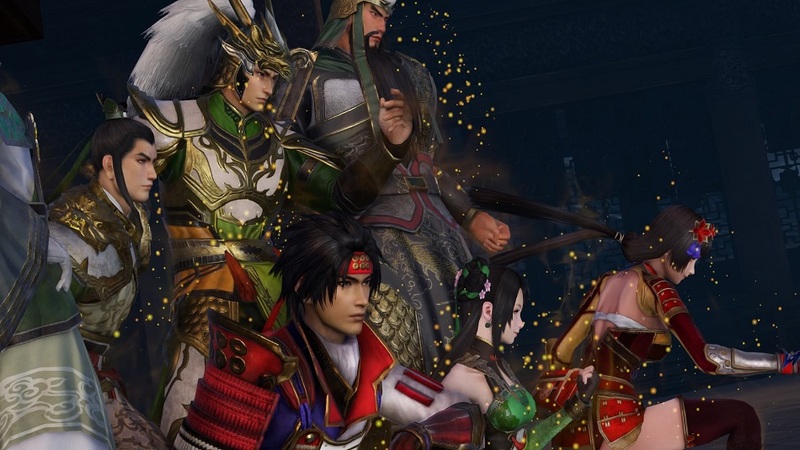 That said, genre fanswill recognize some of the bigger Dynasty Warrior characters like Liu Bei, Sun Ce, and the demon Lu Bu fighting alongside Nobunaga Oda and Hattori Hanzo from the Samurai Warrior series. 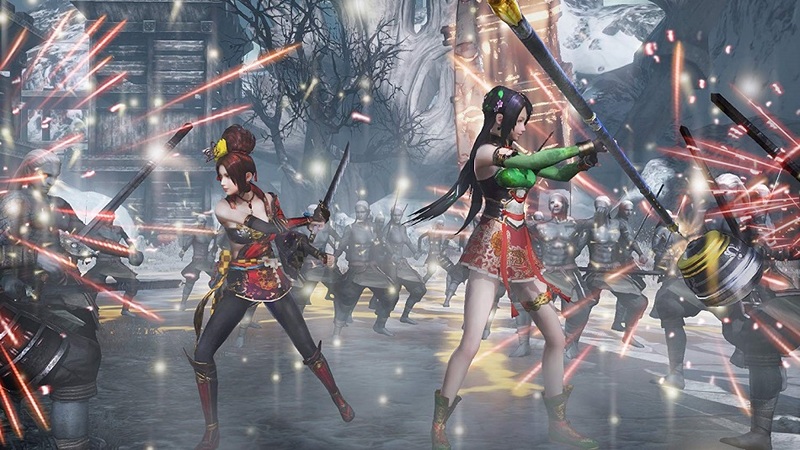 Characters from the previous Orochi series like Sun Wukong and Himiko also make an appearance. 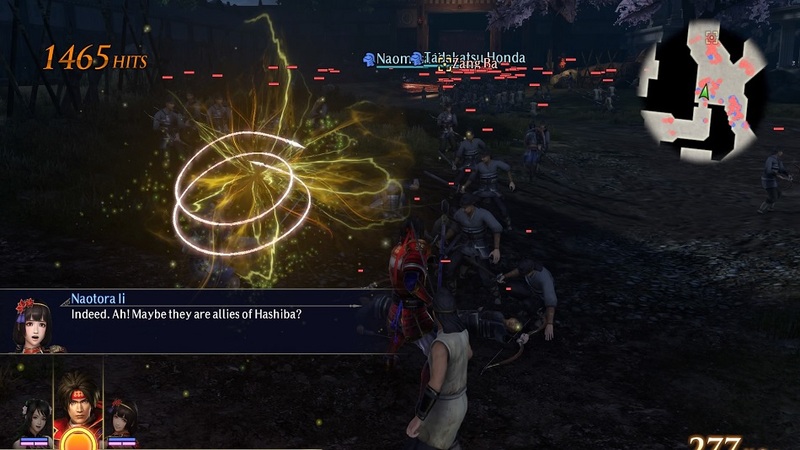 Multiplayer, a mainstay for the series, no longer has multi-specific skills, nor a bonus attack boost if two players activate their musou attacks at the same time. Cooperating players will also want to make sure that both members are at the same level, otherwise one will breeze through enemies while the other won’t be able to deal much. Also of note? In the bonus “Pandemonium” co-op mode, if one player dies in multiplayer, the other can keep going until both players fall. That’s fine for couch co-op, but online players will be treated to a black loading screen for the entire time the other player takes to finish the mission. Disclosures: This game is developed and published by KOEI TECMO GAMES. It is currently available on PS4, Xbone, Steam and Switch. This game was obtained via publisher and reviewed on PS4. Approximately 12 hours were spent in single player mode, and the game was not completed. Around 4 hours were spent in multiplayer mode. Parents: According to the ESRB, this game is rated T and contains Alcohol references, Sexual Themes, and Violence. Players are in a war between Japanese and Chinese armies, but there’s no blood throughout the game. Some characters use alcohol in their movesets, normally to breathe fire right after drinking it. Some of the female characters are scantily clad, but nothing overly heinous. Perfect for teenage and above audiences. Deaf & Hard of Hearing Gamers: Dialogue is voiced in Japanese, but also includes subtitles for all dialogue. Text is not resizable. No audio cues are necessary for play. This title is fully accessible. 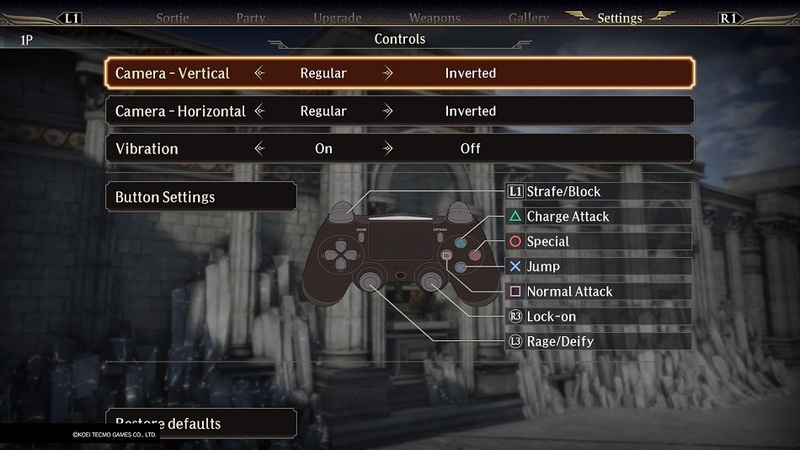 Remappable Controls: The game offers remappable controls.